Michael Petrone, CFP ® | Petrone Associates, Inc.
Michael joined Petrone Associates, Inc. in July 2004. Prior to joining Petrone Associates, Michael practiced law for ten years with Princeton area law firms Jamieson, Moore, Peskin & Spicer and Pepper Hamilton. Michael served as law clerk to the Honorable Thomas F. Shebell, Jr., Presiding Judge, Appellate Division, New Jersey Superior Court, in 1994-1995. Michael is a CERTIFIED FINANCIAL PLANNER ™ and counsels clients with respect to insurance, investments and retirement planning. He currently serves as a board member of the Financial Planning Association of New Jersey. In 2005, Michael was Guardian’s leading Long-Term Care specialist. He is the author of the the articles “Long-Term Planning” and “Health Insurance — Change on the Horizon,” published in Mercer Magazine. Michael currently serves as vice-president of Princeton Little League and served as chairman of the Princeton Recreation Board in 2011 and 2012. 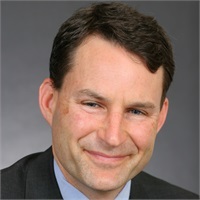 Michael is a graduate of Haverford College and the Dickinson School of Law, where he served as Articles Editor of the Law Review. He lives in Princeton, NJ with his wife and two sons. Registered Representative and Financial Advisor of Park Avenue Securities LLC and Financial Representative of Guardian.